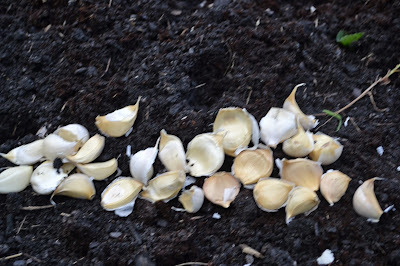 Growing garlic is a fun fall/winter project that does not take a very big green thumb. You can even grow them in a container! 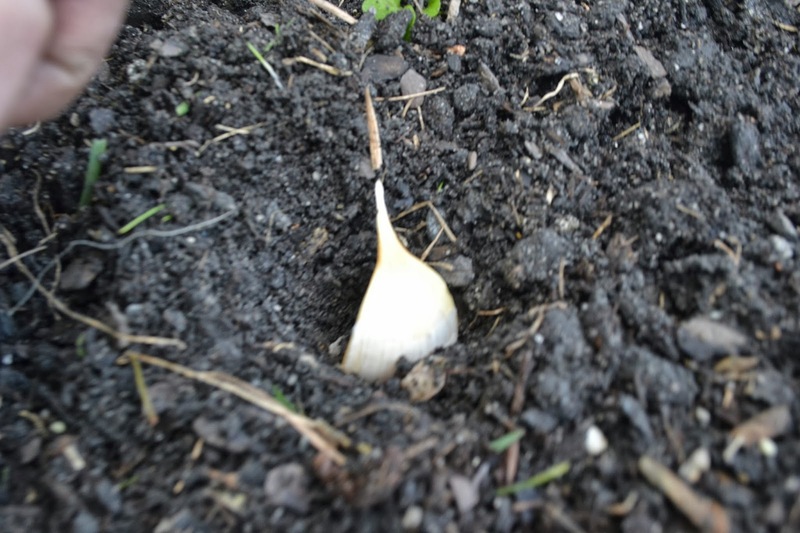 Garlic grows slow and will be ready to harvest in spring/early summer. Garlic likes full sun. Pick a spot that does not get too shady. 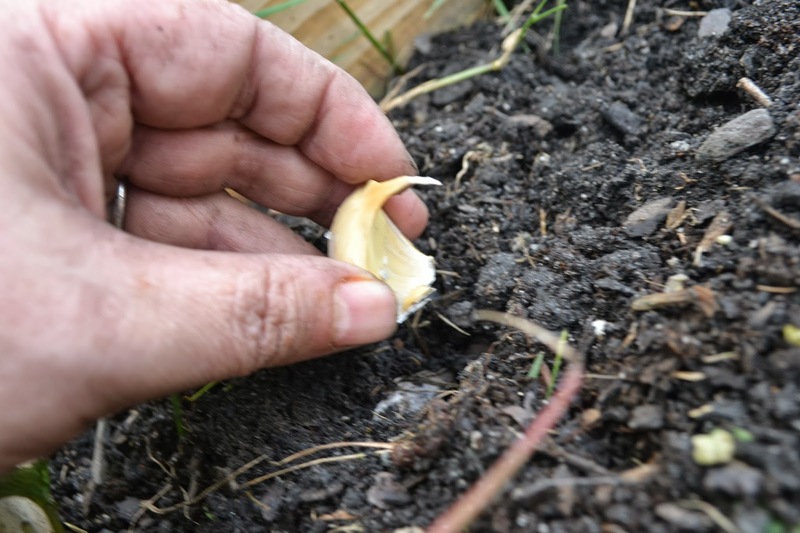 Garlic takes a long time to grow, so pick a spot that you do not need to use for spring planting. Garlic likes a little bit of space between each plant so plan on 4-6 inch spacing. 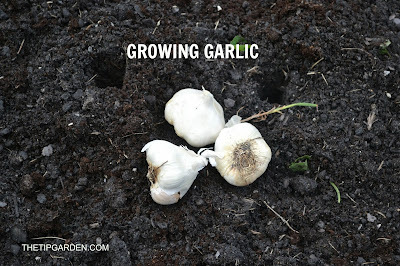 Try to buy garlic bulbs from a nursery or local farmers market rather than from your grocery store. The nursery will provide garlic bulbs specifically that grow well in your region. Store bought garlic is usually from California or overseas and may not be suited for your region. Garlic needs about 40 days of below 40° temps in order for each clove to split into a bulb, so planting in fall in most regions is required. Ideal planting time is Sept.-Oct. where nights are cool, days are still warm so the bulbs have time to establish a nice root system before the first freeze. Prepare soil. 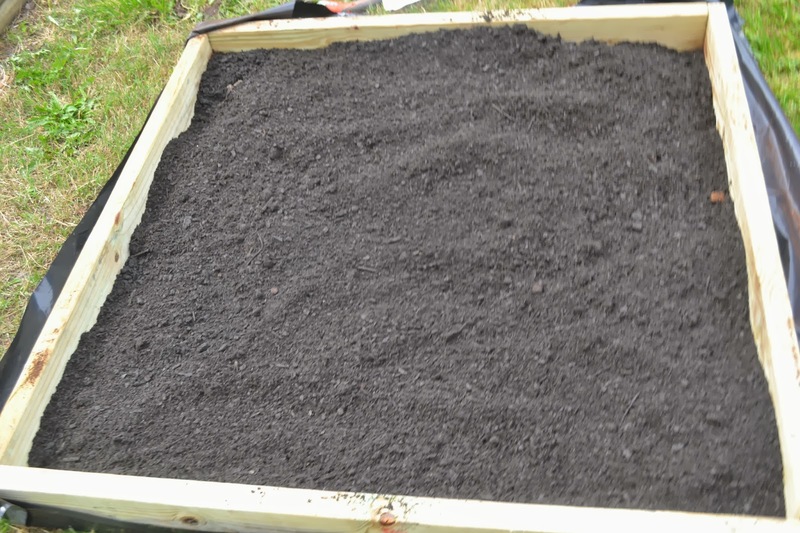 Well composted garden soil is best. 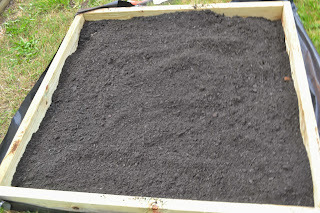 Garlic does not the clay soil here in the south east so I ammend my soil well with rich compost..
Space your cloves 4-6 inches apart in your garden bed. You can grow in rows or in a honeycomb pattern as long as each bulb has some "breathing" room between them. Push your clove with the pointy side up, 2 inches deep into the soil. 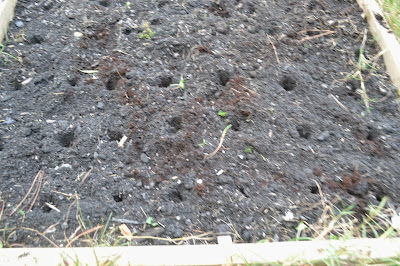 Garlic will need about 1 inch of water per week during the first 4-6 weeks till the first frost. Then just leave them alone till spring! 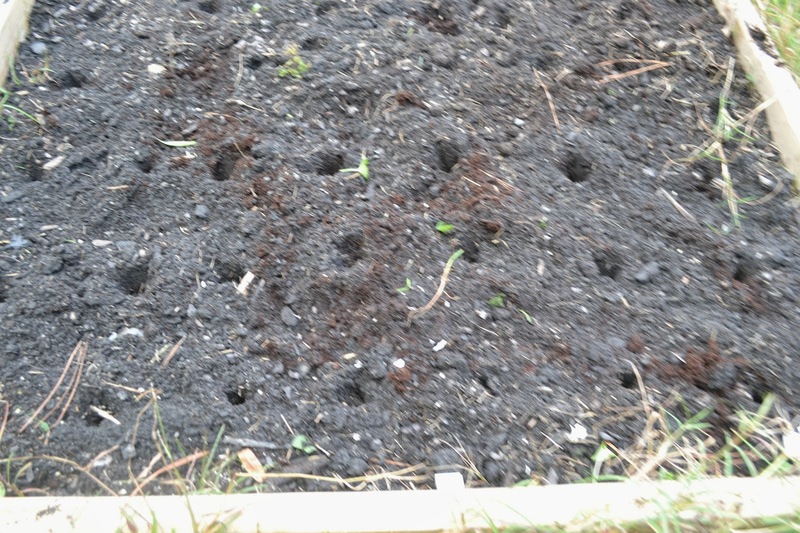 You'll start to see small green shoots coming up through the mulch within a month or so. They may grow up to several inches tall before the first frost sets in.